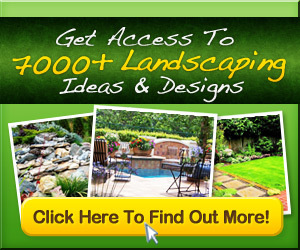 Garden landscaping is a great way to update a backyard. Giving your backyard a makeover will certainly improve your homes appearance and add value at the same time. Planting new flowers and updating your landscape will add beauty to your home and make a better place for you and your family to spend time in. There is a way to keep the old stuff and still have a new and improved look. Adding features to your landscape is a good way to update and combine the old with the new. Give your patio or sidewalk a facelift. You can add extensions to your patio or deck. Clean up a fence or repaint it. Add fresh colors and new designs to focal points in your garden. Adding statues and ornaments is an inexpensive way to bring a new look to a landscape. When it comes to a great garden, it is all about the flowers and plants. Choosing these items is the best part about creating a garden landscape. Pick flowers that compliment your home and your personality. There are many different types of flowers that you may want to consider. Remember to think about a few things before you purchase the flowers for your garden. Think about your location and what types of soil you have. You want to make sure that is you do not have good, fertile soil then you will either pick flowers and plants that will do well in these conditions or help the existing soil. You can add soil and compost to any soil to make it better for growing certain plants and flowers. Shrubs are the perfect fit to any garden landscaping idea. You can use them for bordering your lot or separating one feature from another. Shrubs come in different varieties and shapes. You can get shrubs that blossom with flowers or berries. There are also shrubs that stay green with the warm months and change colors with the seasons. 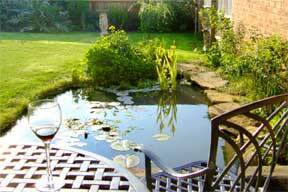 Make sure that you add comfortable furniture to your garden. This is a place that you will want to enjoy and sit in to take in all the beauty of you new garden sanctuary a living room. Add in any feature that makes you feel more at home and peaceful. If your garden has a covered roof, think about adding candles or accent pieces like throw rugs, or pillows. This will give any atmosphere a soft, warm feeling and make anyone feel welcome.